Open up your Music folder right now. How much of that stuff is missing critical information like artist, album, and lots more simply because you didn’t want to take the time to clean it up? 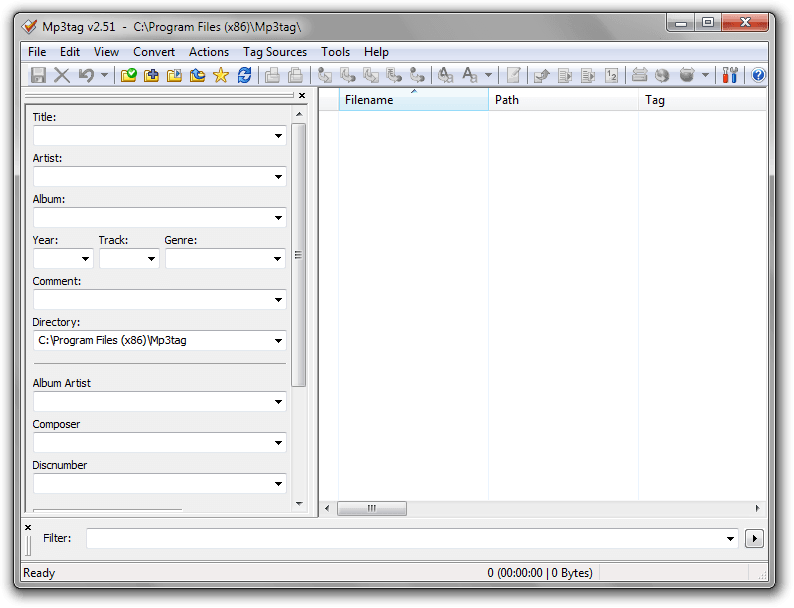 Mp3tag is a free tool to help you clean it up nice and tidy with great ease. Mp3tag is easy to use. Just drag a collection of songs onto it–an album, or just random songs–and highlight songs from the same album. It lets you type in all of the information you want manually, but if you already named the files using some naming scheme, it lets you import that information directly into the metadata tags. When you’re done adding metadata, it also lets you rename all of the files based on their new metadata. Mp3tag is my favorite tool for organizing my music, and with good reason. It’s free and is really easy to use! If you’re anything like me, hard drive space is a commodity, and finding ways to preserve it is a losing battle. With WinDirStat, you can find the biggest files on your computer, and if needed, delete the worst offenders. WinDirStat works on pretty much any Windows-based computer, including your 1998 eMachine that you have somewhere in the garage. It takes a few minutes to scan, and when it’s done, it displays a fancy color-based interface as shown at the right. Contiguous rectangles that aren’t divided up are single files, but be warned that looks can be decieving: that giant red blob you see in my screenshot isn’t one file but one folder, and if you look closely you can see small squares inside of it. 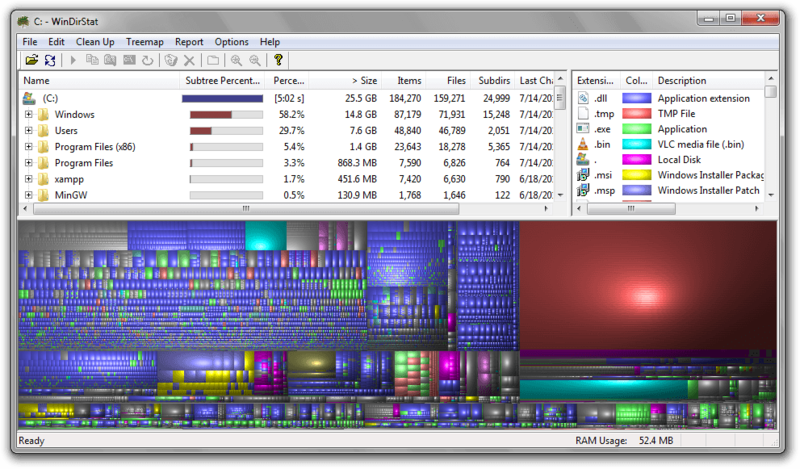 WinDirStat is a nice tool for any large-file-hunting you want to go on, and it’s free and open source. Portability: Portable version available ! Looking for a program to let you kill unresponsive programs, and perhaps even restart them? Task ForceQuit claims to be just the program for that… and falls wildly short of anyone’s expectations. Task ForceQuit unfortunately comes an opt-out copy of CleanMyPC, one of those scum-of-the-internet “cleaning” programs that’s been thoroughly proven to be a useless moneysucker. It also requires internet access to “register” itself, even though it’s free. Oddly enough, when my firewall blocked it by default, it froze up and required force quitting from Task Manager. If you do use it, I recommend not giving them your real email; it says they’ll send you free spam informational emails about stuff you don’t care about. 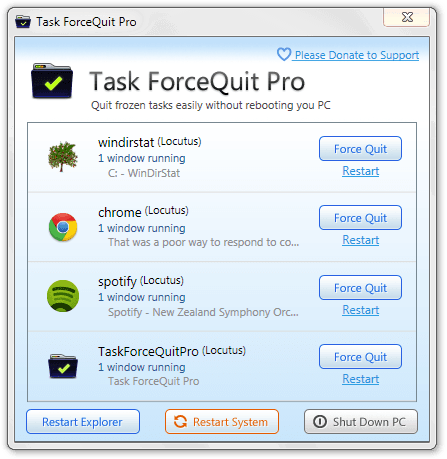 Task ForceQuit really didn’t impress me, and it’s not really the kind of program I recommend you keep on your computer. Find other programs, such as Windows xKill  or other program-killing programs. This is not a tool you want.